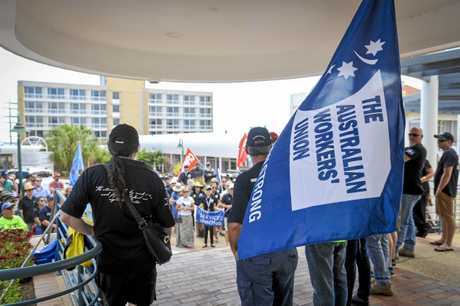 COUNCIL workers and unions took protected industrial strike action this morning, for the first time since 2010, on the steps of the Gladstone Council chambers. Workers and the combined unions gathered after their request for an annual 3.5 per cent wage increase over three years was denied. Council instead proposed wage increases of 2.5 per cent, 2.25 percent and two per cent annually for all staff over the next three years. 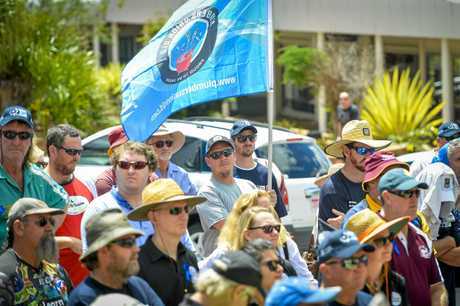 Australian Services Union Central Queensland organiser Chris McJannett said it was workers who decided to take action as they sought respect and fairness. "(Workers) have been fighting for months now since June, saying we are asking for a better deal," he said. Mr McJannett said despite council adding job security clauses, after 11 meetings it was still not willing to offer a fair wage rise. 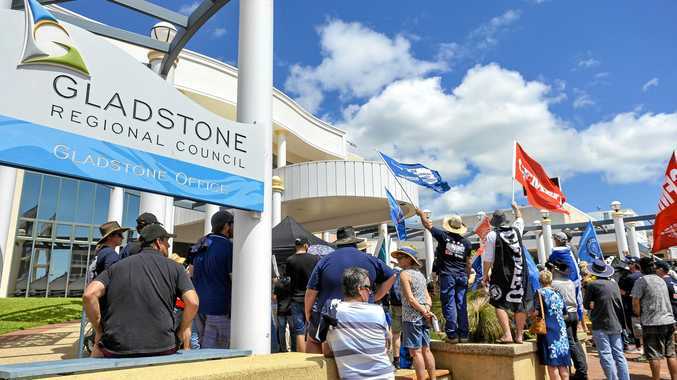 "They (the workers) are not making unreasonable demands - they're saying we want decent local jobs in Gladstone, decent wages and decent and real commitments to the number of apprentices this council will put on," he said. "They want to take this action. It was their decision to say it's time to start listening, because it's clear council wasn't willing to come to the table unless they were forced to." Mr McJannett said there issues council had failed to address included the employment and retention of trainees and apprentices and the use of Gladstone Region contractors. The industrial action affected some council services yesterday, but vital services were not hit. Council chambers and the Gladstone City Library were closed, with a note to customers left on the front door. "Council recognises and respects workers' rights to industrial action," the sign read. "We are working to deliver a resolution that balances the needs of our workers and the community we serve, while minimising financial impacts on our ratepayers."